Fundraising for your studio—whether it's to raise money for your competition team dancers, fund a much-needed renovation or offer a family in need a scholarship—can feel like pulling teeth. You've done the bake sales, the car washes, the candy bars. Why not try something new? These four owners stepped up their fundraising game with fresh, fun and, most importantly, profitable ideas. When looking for ways to raise funds for her competition team members, Dance Workshop (Performing Arts & Zumba Studio) owner Tara Gardner was in luck. One comp parent, a professional photographer, offered to take photos of kids at their own private glitter party. 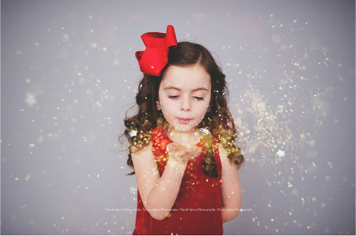 Parents could pay a flat fee for a 10-minute session and receive five digital, edited photos of their children blowing, tossing or raining down glitter. Gardner put herself in charge of promoting the event (she created a Facebook event page and opened it up to the public) and gave other comp parents assignments, like scheduling each shoot, collecting payment, assisting the photographer, cleaning up the glitter and working shifts throughout the one-day event. Costs and materials Glitter; studio space for the shoot; Gardner also provided lunch for the photographer. Word to the wise Gardner opened up the photography sessions to nonstudio kids in her town of Greencastle, Indiana, to reach a bigger pool of customers. “We had them done in time for Valentine's Day—they make great gifts," she says. Taking advantage of a recent trend, Hailey Doyle organized a Paint Nite last fall for adults. She contacted a local organizer in Sacramento, and the company set up everything day-of—she only needed to provide tables and chairs. She sold tickets that could be used to purchase beer and wine, plus desserts (provided by her comp team parents) and held a raffle for gift baskets she and parents put together. Local businesses donated items for the baskets—a kitchen-themed basket included a crockpot, cookbooks and cooking utensils. She assembled a studio basket, with an Elevate Dance Center T-shirt and tank top and two tickets to an upcoming show. 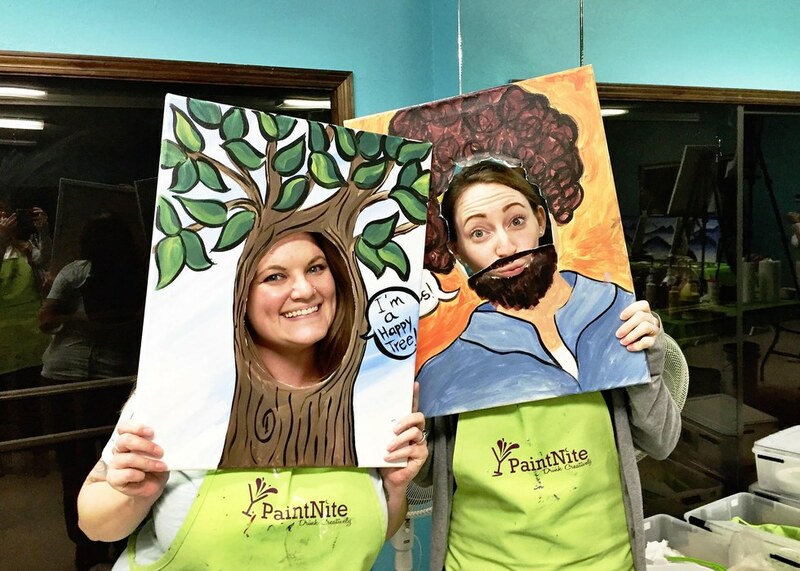 The paint night company required a minimum of 35 attendees, so promotion was key. She posted on the Facebook page of her studio, Elevate Dance Center, and handed out flyers for her students to take home. The evening was so successful and easy to pull off that she's planning to do another one this fall. Word to the wise “I was nervous about selling alcohol, so I talked to some business owners who I knew did a wine-and-yoga night once a month," says Doyle. “As long as it's something you're doing in your venue, you're not advertising that there will be wine and beer, and your guests are 21—we advertised that the event was 21-and-over—it's fine." When Char-Mar School of Dance owner Stephanie Rusinko needed money to renovate her Lake Park, Florida, studio, she thought back to her money-making standby as a teenager: babysitting. Her first large-scale babysitting event was called “Drop and Shop": During Christmas vacation, she offered moms the chance to get some holiday shopping done, sans kids. When that went over well, she planned another—this time providing pizza, ice cream, movies to watch and dance games to play. “It was like a giant slumber party where no one sleeps over," says Rusinko. “We played old recital tapes. We got glow sticks from the dollar store, turned off all the lights and had music going for a 20-minute dance party." For the last hour and a half of the five-hour stretch, she put mats out so the kids could lie down and watch movies. She paid one faculty member a flat fee of $100 and a high school student assistant $50 to help keep an eye on the 40 attendees (ages 3–11). Rusinko has now held five babysitting events total. “It caught like wildfire," she says. “It's so rare that parents get to go out with other parents without having to find different sitters." Word to the wise “It was also a great opportunity for us to meet new kids," says Rusinko. “We invited the kids to bring their friends. We didn't pitch any classes—we just gave them a great, comfortable environment. We wound up with eight new students, including two who'd left our studio because they'd wanted a place closer to home." Two summers ago, Revolution Arts Center owner Andi Gilbertson directed a particularly profitable fundraiser with her church's youth group: flamingo flocking. 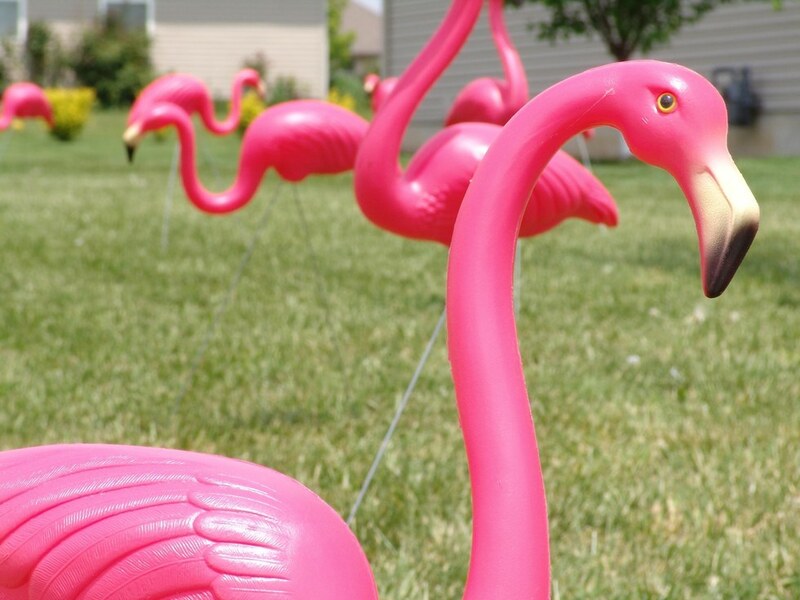 People paid to have the front yards of their friends (or enemies) covered in plastic, lawn-decorative flamingos. The more flamingos, the more they paid. A flocked yard included a sign (“You've been flocked by _____! "), instructions (explaining not to touch the flamingos, because “they bite") and an order form, in case the yard owners wanted to pay to flock someone else's yard. Gilbertson and her team of volunteer flockers would pick up the filled-out order form and check for payment when they returned a few days later to remove the flamingos and place them elsewhere. Gilbertson says it ended up being a great bonding experience for the kids who participated. “We had three teams of 10—always two adults and the rest kids," she says. “Each team went out one night a week, starting around dusk." Fees To flock someone's yard with 6 flamingos, $12; for 12, $24; 24 or 36 flamingos cost more. People could also pay for “insurance" ($5–$15), guaranteeing that they couldn't be flocked in retaliation for a certain number of days (three days, two weeks or the entire time). Word to the wise Deciding in what order to visit houses to be flocked took some strategizing. “I used Google Maps," says Gilbertson, who would group nearby addresses and split her flockers up into teams to visit the maximum number of houses in the minimum amount of time. “And stipulate that you can't flock apartment complexes, because they'll get mad at you!"